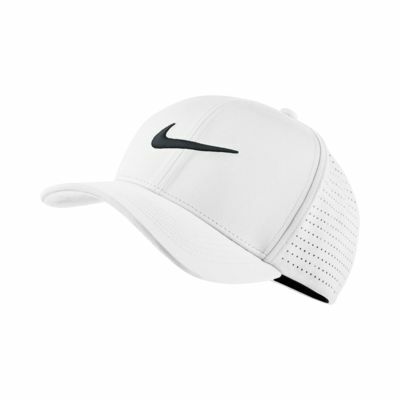 The Nike AeroBill Classic 99 Fitted Golf Hat offers a comfortable fit and exceptional airflow on the course with stretch fabric and laser-cut perforations on the side and back panels. Fabric: Body: 88% polyester/12% elastane. Back of front panel: 90% polyester, 10% cotton. Good fit and flexibility. Can be worn in any weather. 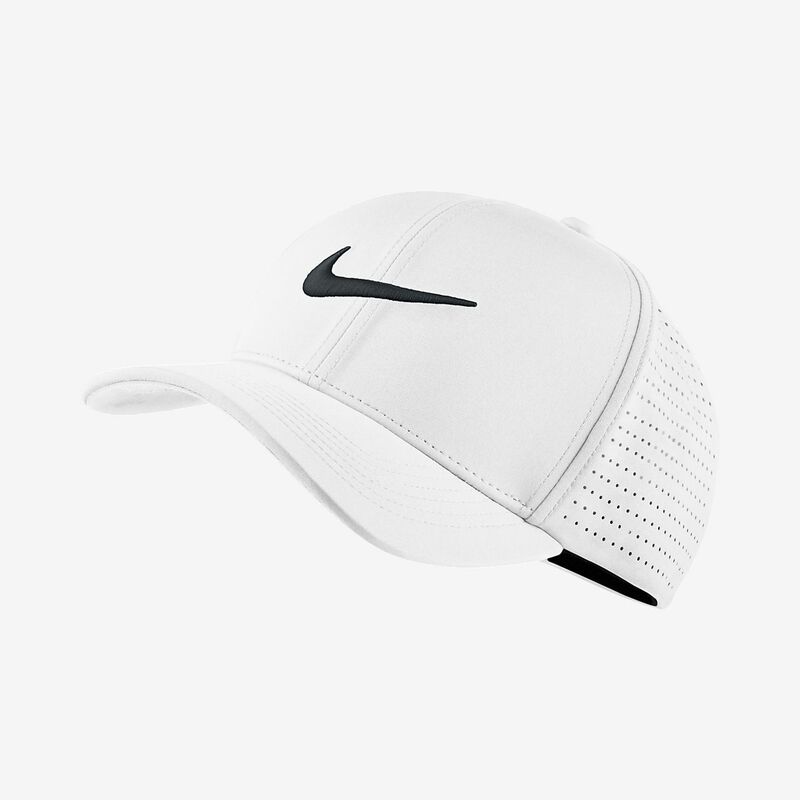 Im usually not a big fan of how I look in hats but i really wanted to get one this summer. Got to say that I love the hat and am glad I gave it a shot. First ordered the black one and now ive got the light grey on the way. Great look, great feel, and fits perfect. Definitely recommended. I am a 6 foot tall woman, and I usually buy mens hats because the size of the bill of the hat suits me better than some of the womens hats. However, I did not realize that there is no hole in the back of the hat for a ponytail. Otherwise, its a great hat.